Friday, Mar. 8, 2019, 10:30 a.m. – 2:30 p.m. The School of Engineering & Technology end of the quarter colloquium allows for students to present the results of their internships, directed readings and directed research. 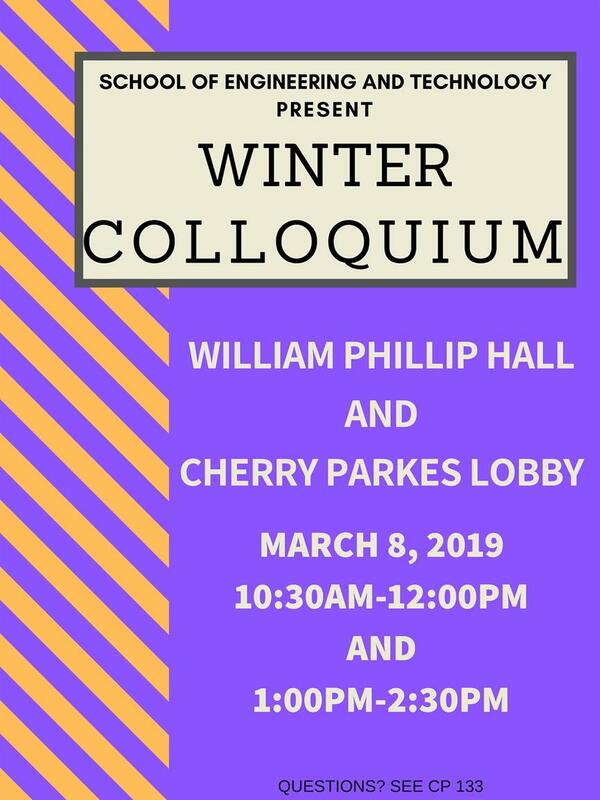 There are two presentation sessions during which students will attend to their posters and discuss their work with conference attendees and colloquium attendees alike.